Marketing automation has grown tremendously over the past few years, and it's no longer the reserve of the largest or most technologically innovative companies. 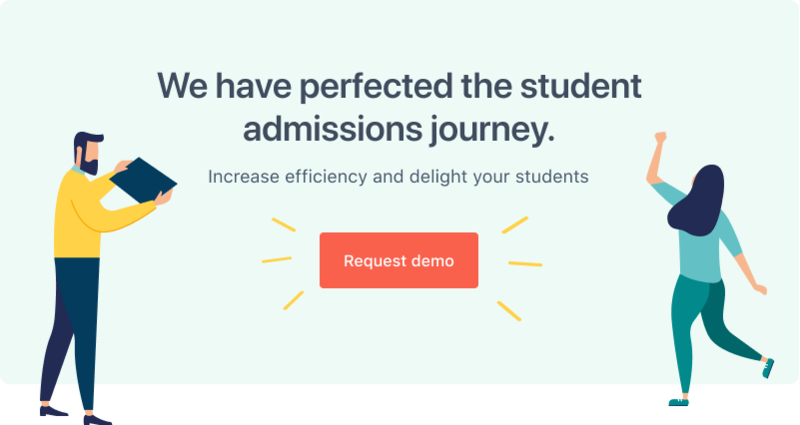 Many universities now use marketing automation in their recruitment and admissions process to communicate with their prospects, throughout the whole admissions lifecycle, in a relevant and timely manner. And while the word automation sounds cold and impersonal, automating repetitive, mundane tasks frees up your time so you can focus on building better relationships with your candidates. Instead of spending time on task management, organisation and follow-up messages, you could be reaching out to the customers and prospects that really engage with your school in a more personal way. Here are four ways automation can help you scale your recruitment and admissions efforts without losing your brand authenticity. Marketing automation makes it simple to put forms on your website to capture the contact information of website visitors, growing your list of prospects. The typical example is the brochure request, but you can use landing pages to offer many types of content: such as ebooks, webinars and employment reports. Not only will you add a new contact to your pipeline, but you’ll also have the ability to automatically segment that prospect into the right programme so you can follow-up with content relevant to their programme of choice. If you organise info sessions, open days and webinars, you want to ensure you get as many attendees as possible. According to Rory King, only 50% of people who register for an event will actually end up attending. You can use automation to send people reminders in the lead-up to the event to encourage them to attend. Then once the event has finished, you can automatically follow-up with those who attended as well as those who registered but did not attend. If someone starts an application form, fills out 50% of the required fields and then doesn't log-in again for more than a week, that's a sign that they're either loosing interest or may have some concern about studying at your institution. You can send them an alert encouraging them to finish the application form. Good luck emails are easy to set up if you have your prospect's date of birth, and can be an extremely effective way of providing a personal, warm message at a time students may need support and motivation.